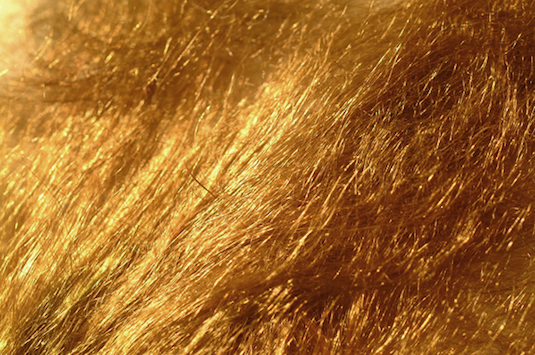 Sea silk: light as air, and golden as sunlight. 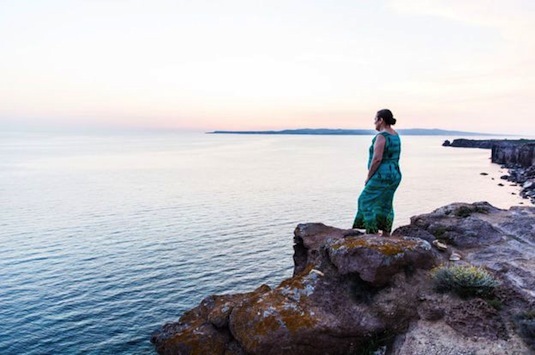 Only one woman in the entire world is able to make Sea Silk– weaving it from the most delicate golden thread, not from the silk worm but from the Pinna Nobilis clam that lives in the aquamarine waters of Sardinia. 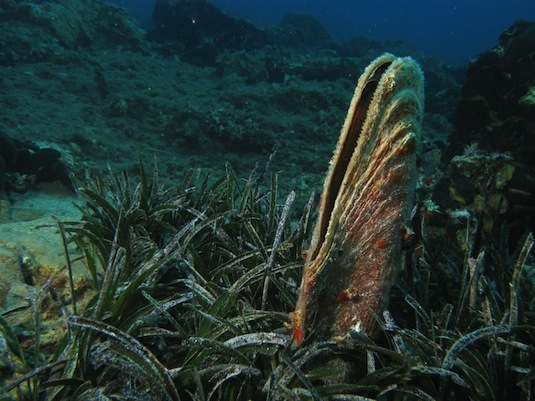 The Pinna Nobilis clam, in the aquamarine waters of the Mediterranean. The fabric it makes is so light you can barely feel it kiss your skin. It gleams like gold in the sunlight. Mentioned in ancient Roman and Greek records and even in the Bible, sea silk – or byssus – was originally reserved for Kings and Pharaohs. 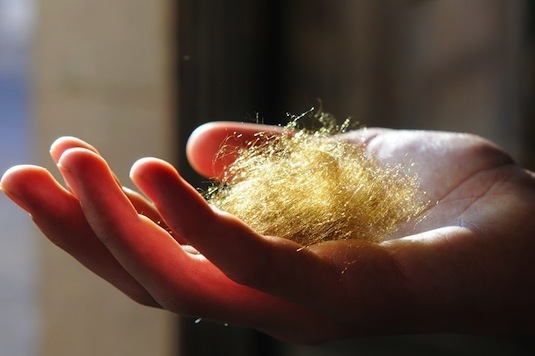 The remarkable golden threads of sea silk, ancient fabric of kings. Now, on the island of Sant'Antioco, Chiara Vigo harvests the byssus fibres early each morning. She is accompanied by the Italian coast guard as the clam is a protected species. Chiara carefully harvests the threads in the early mornings, without harming the clams. 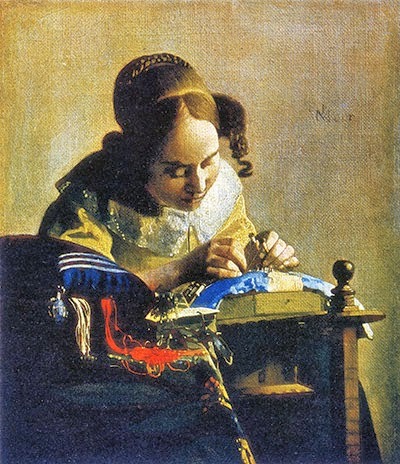 She spins and weaves it herself – but not for emperors. 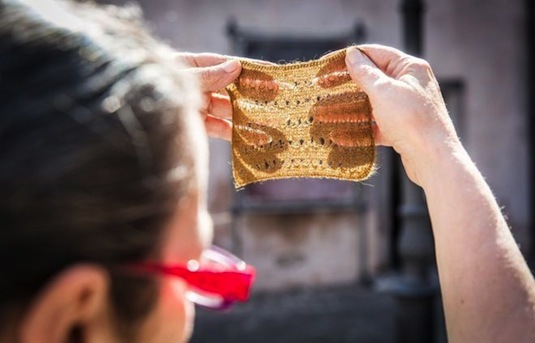 This silk is not for sale: Chiara gives her precious work away to people who come to ask her for help. Chiara gifts the thread to anyone who asks her help, bringing good fortune and fertility. The byssus is believed to bring good fortune and fertility. Young women and couples come every day. 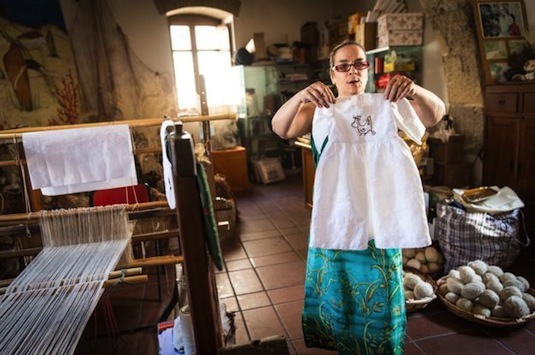 If they bring a christening dress, Chiara will embroider it with the precious thread. The gift of good fortune: a baby's gown is embroidered with the precious threads. Chiara passes on her skills, teaching others each evening to create the sea silk fabric. Only a few elderly women in Apulia (the heel of Italy) have the skill to weave the byssus. 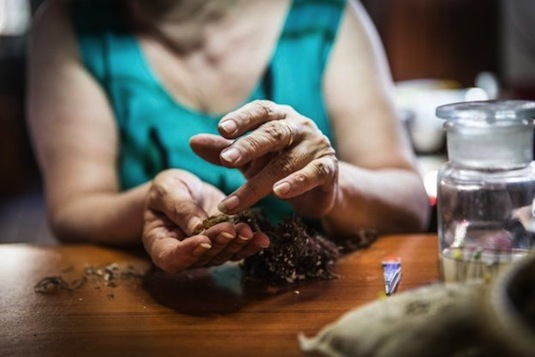 Chiara learned at her grandmother's knee, and now spends her evenings teaching others to do it. Light and golden, the sea silk naturally glows in sunlight. 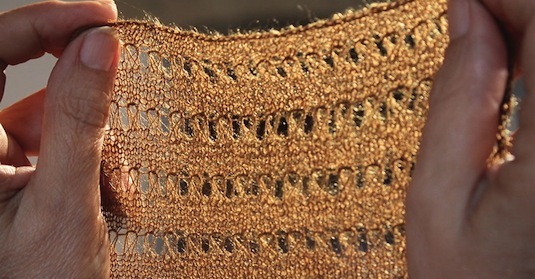 Gleaming in the Sardinian sun, the sea silk is woven to a traditional pattern. 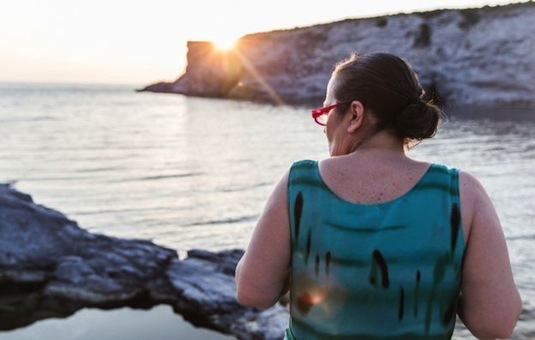 "Weaving the sea silk is what my family has been doing for centuries," Chiara says. "The most important thread, for my family, was the thread of their history, their tradition." Chiara Vigo on her home island of Sant'Antioco, Sardinia. If you'd like to see more of Chiara Vigo and her remarkable life's work, click here. Her sea silk is not for sale anywhere in the world. 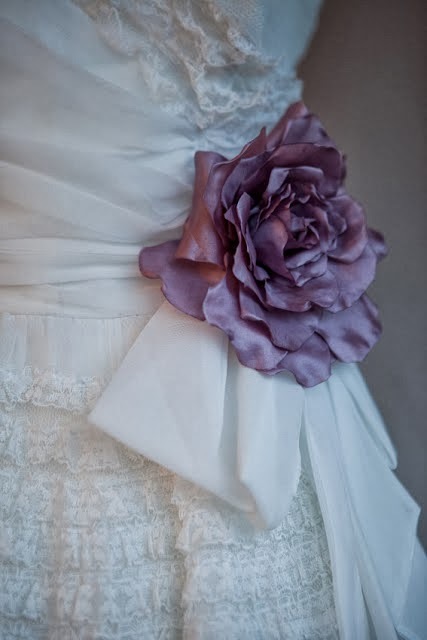 But if you'd like to see some beautiful fabrics that are, then do come to my studio or visit one of my new stockists for my Heavenly Collection of vintage wedding dresses, Luella's Boudoir in London and Vintage Bride in Dublin. A guide to vintage lace wedding dresses.